The League ‘Secede’ billboard in our Capitol has been the centre of a controversy. The sign, erected after the Alabama League of the South’s protest against the SPLC’s war on marriage, was removed after only two days due to “complaints” by individuals. Southern Nationalist Network, the prime Southron media outlet, has been steadily reporting on the events surrounding the ‘SECEDE’ sign. Harold Crews, a Carolinian attorney and head of the NC League of the South, says the move shows that Southerners are now being treated as “second class citizens” in our own homelands. Lamar Advertising, a Baton Rouge, LA company, is responsible for removing the billboard. They put an identical billboard up for the Florida LoS’s demonstration with no difficulty. We have received your comments about the recent billboard copy that was taken down in Montgomery. We are investigating the situation and will be in touch when we know more. 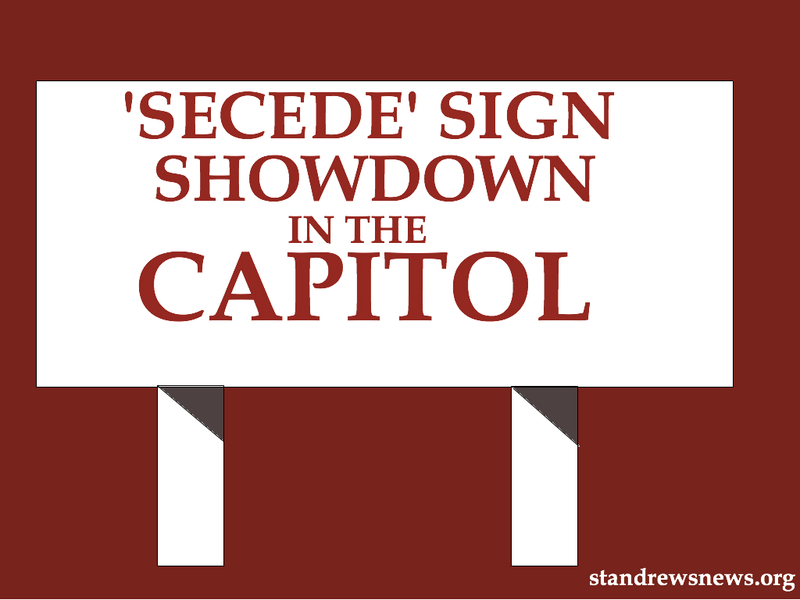 Complaints by Southern Nationalists and a petition to restore the billboard seem to be gaining ground, especially as media coverage increases.